There are a few more characters left to meet from Sentinel Tactics: Battle for Broken City! Grace Charles was only five years old, but she knew that she had to take care of her younger brother, Owen, who had just had his first birthday. Their home in Rook City was literally falling apart around them, and Grace was afraid. She had woken up in the middle of the night in phenominal pain - something terrible was trying to get out of her, and when she opened her mouth to scream, the sound of her voice was drowned out by the sound of destruction as waves of energy tore through the house around her. She didn't understand what had happened or what was happening, but she knew that Owen might be in trouble. Fighting the pain, she made her way out of her room and down the hall to Owen's room. He was awake, but calm, and when she gathered him up, she felt his calm quell the pain inside her. Grace struggled to carry the toddler, but putting him down just meant more pain, so carry Owen she did. She managed to get herself and her brother out of their house, just before it collapsed. Now, Owen does more looking out for Grace than vice versa. His sister constantly emits dangerous levels of radiation that do not affect him, but if she loses control, the ensuing explosion of energy is catastrophic. The only thing that has protected Grace from herself - and the world from Grace - is Owen's innate ability to calm Grace, abating her powers. Having nowhere else to go, Grace and Owen have lived in Rook City for their entire lives, though it has been ruins for the majority of that time. They subsisted by moving from safe house to safe house, staying with other refugees that are kind enough to take them in. It was a tenuous existance, as if Grace lost control or anything threatened Owen, they quickly had to find a new home in the wake of the resulting destruction. However, recently, they found a group of people who turned a blind eye to their unusual abilities and welcomed them into their community. Lately, they have been working together to protect the others in their safe house. 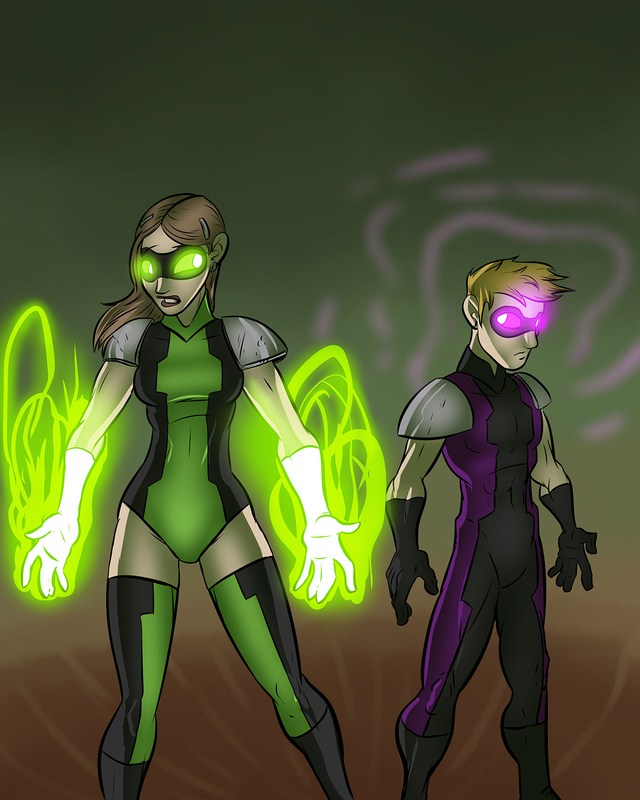 Grace has been practicing focusing her powers while Owen helps keep her within a safe threshold. They are still learning how to fight, but Grace and Own wryly refer to themselves as Catastrophe and Verge. Broken City may not be a safe place to live, but they're going to make the best of what they have. As long as they have each other, they'll be OK.
Not-so-deep beneath the ruins of Rook City lurks a creature who has weathered the changes to the surface world. Plague Rat had finally gotten back to his nest just before the fall of Rook City. The sewers were flooded with chemicals from the destroyed Pike Industrial Complex, as well as other bizarre mixtures of unknown origin. These new chemicals interfered even more with Plague Rat's already corrupted system. As an even more frenzied creature, Plague Rat is rarely willing to leave the broken sewers. When he does, it's to find anything vaguely edible and drag it back down to his nest. 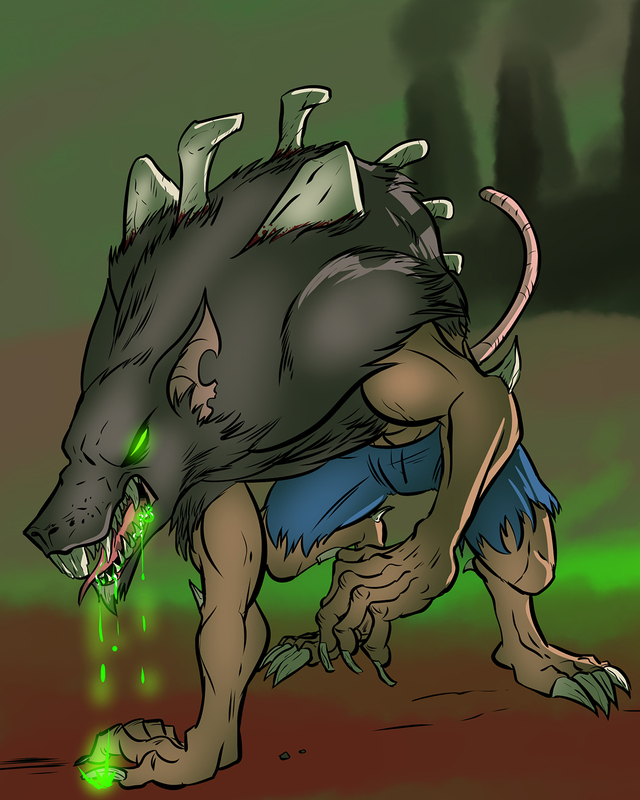 The monstrous Plague Rat is even a greater threat than ever before! Catastrophe & Verge and Plague Rat will be playable characters in Sentinel Tactics: Battle for Broken City, which will also provide environment tiles for both the ruins of Rook City and the Rook City sewers! There are even more updates planned for today! Stay tuned! wait so since catastrophe and verge are both needed to balance out each others powers does this mean they will essientially be equal to one playable character in the game or 2 seperate ones? They will play as one. Love the character design on Catastrophe and Verge. I feel bad for Grace, though. She seems heavily burdened by her powers until she's able to get them under control. Ok, so Verge is one of the 3 mystery minis. Could the other 2 be the alternate versions of Ambuscade and the Operative? If they've been moving around from safe-house to safe-house in a half ruined city, where did they get their costumes? My guess is this new accepting family they found.